He did not stop it, but he instead started it. The majority of Rwandans know well that their president Paul Kagame is responsible of the genocide against Tutsis. To claim that he stopped it is not only a lie but also a serious insult to the memory of its victims. I reproduce below an analysis of significant facts done in 2007 by Guillaume Murere, Ph.D., regarding what happened at the time. 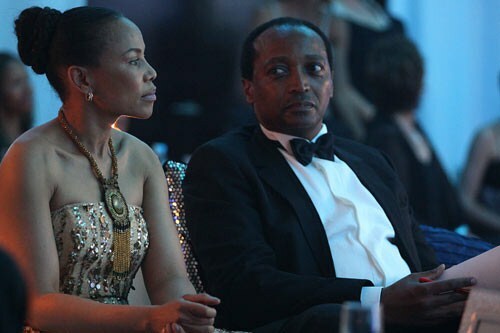 Patrice Motsepe – South African richest black man. “Economies that are growing and have ethical and accountable political, business and other leaders are better positioned and substantially more effective in dealing with poverty, joblessness, illiteracy and disease.” Patrice Motsepe. 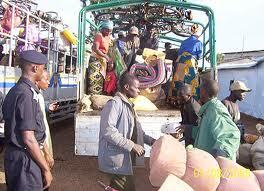 Rwandan refugees from Tanzania returning home in 2006 – Photo by NewTimes. Rwanda: When RPF youth indoctrination competes only with Communist or Nazi youth programs. Hundreds of Rwandan young adults and minors arrested for petty crimes ranging from being homeless to not having an identification card. By JEFFREY Gettleman – 30/04/10 NYTimes “Rwanda pursues dissenters and the homeless. Were Russians of Lenin or Stalin eras coerced into being “good” communist citizens? Undoubtedly so. And there were national programmes that authorities in the Kremlin used to have complying people ready to sustain the system as long as possible. The Rwandan president Paul Kagame and his Rwandan Patriotic Front [RPF] are at work since 1994 creating a society which can compete well with many authoritarian regimes of the recent pass of before the end of the Cold War. This is an analysis of Chinua Achebe, the recently deceased Nigerian novelist, that he makes referring to the portrayal of Africa by Joseph Conrad in his book Heart of Darkness published in 1899. The following is an essay that the African writer did to highlight the supremacist attitude that the English author of the 19th century expresses towards Africa and its people. 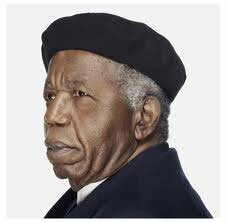 Achebe reflected on that particular novel because of the significant impact it did to mold the Western thinking about the African continent. In the fall of 1974 I was walking one day from the English Department at the University of Massachusetts to a parking lot. It was a fine autumn morning such as encouraged friendliness to passing strangers. Brisk youngsters were hurrying in all directions, many of them obviously freshmen in their first flush of enthusiasm. An older man going the same way as I turned and remarked to me how very young they came these days. I agreed. Then he asked me if I was a student too. I said no, I was a teacher. What did I teach? African literature. Now that was funny, he said, because he knew a fellow who taught the same thing, or perhaps it was African history, in a certain Community College not far from here. It always surprised him, he went on to say, because he never had thought of Africa as having that kind of stuff, you know. By this time I was walking much faster. “Oh well,” I heard him say finally, behind me: “I guess I have to take your course to find out.” A few weeks later I received two very touching letters from high school children in Yonkers, New York, who — bless their teacher — had just read Things Fall Apart. One of them was particularly happy to learn about the customs and superstitions of an African tribe.